Winter will be here before you know it and this Lavender Whipped Body Butter will keep your skin feeling so soft and smooth. I love to use it after the shower and I feel moisturized all day long! I keep a jar in my bathroom and I even made a travel size too. My daughter gets eczema flare ups on her arms quite a bit. 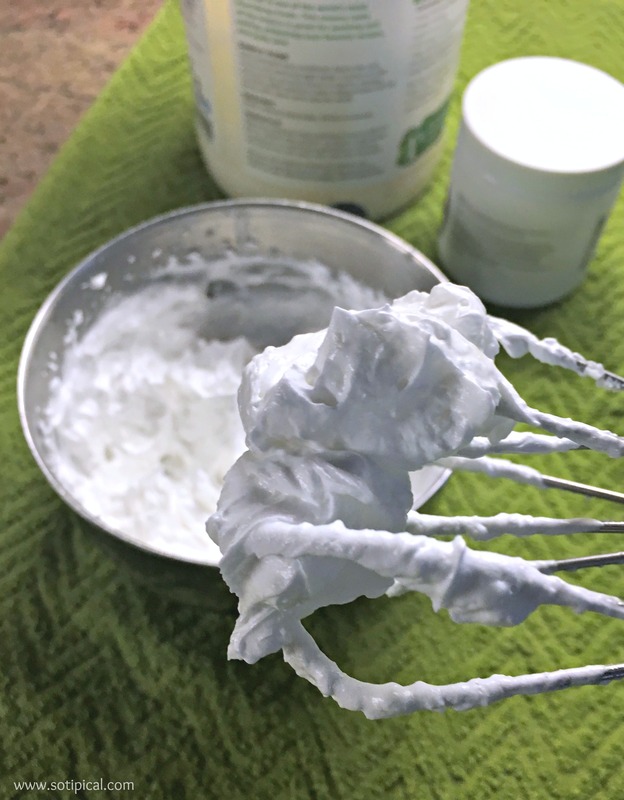 Using this whipped body butter is one of the steps she takes to live more comfortably with her eczema. It also works well on heels and elbows that feel dry and scratchy. 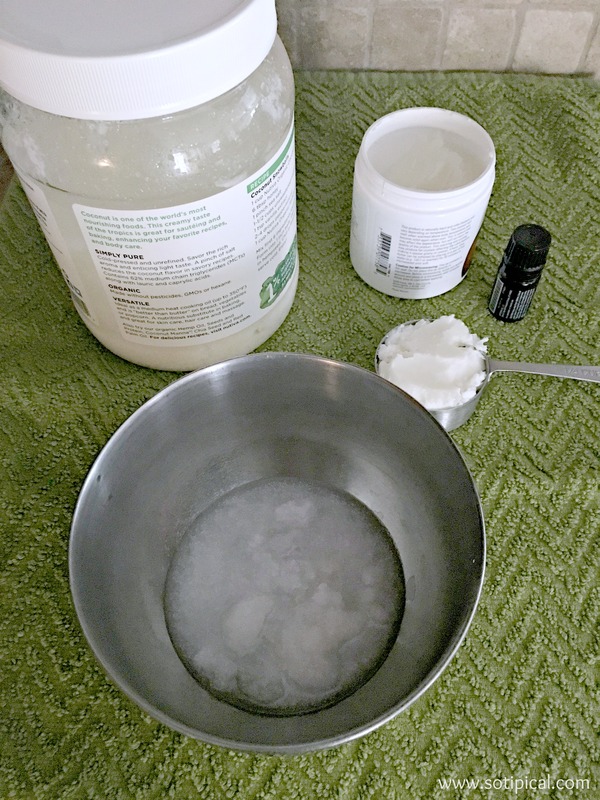 You can use any essential oil that you like in this recipe, but I chose lavender because it is calming and good for soothing dry, itchy skin. I used 1/4 cup each of coconut oil and shea butter. You can use more, but just be sure you use an equal amount of each. 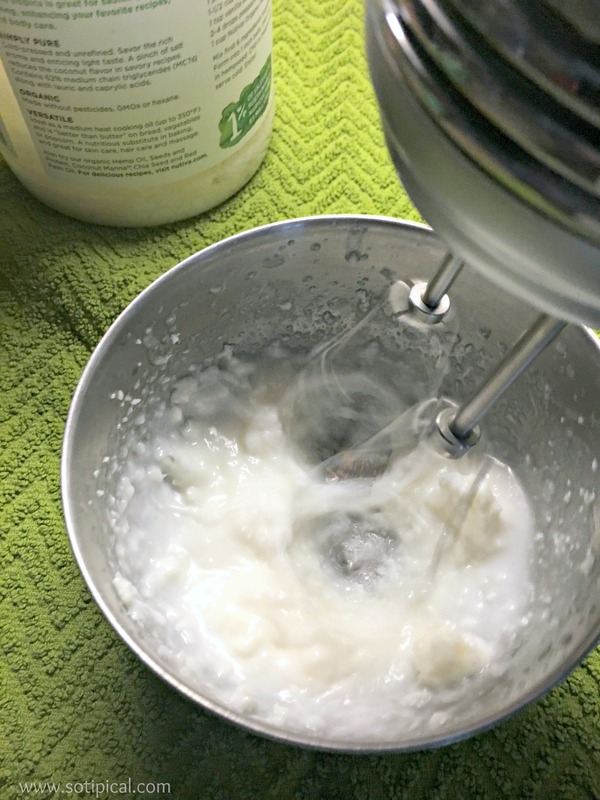 Add them both to a bowl and with an electric mixer, whip the mixture until light and fluffy. Below you will see the consistency of the whipped body butter. It should be light and very fluffy, similar to a good fresh whipped cream. Add drops of lavender essential oil and thoroughly mix it in until well blended. Now I chose to use about 3-5 drops of oil in my mixture because I don’t like bold scents. I had a friend tell me that she would add at least 10 drops, and so can you, if desired. Awhile back, I picked up some cute little jars at the Target Dollar Spot that were perfect to use for this. Little mason jars would work well too. 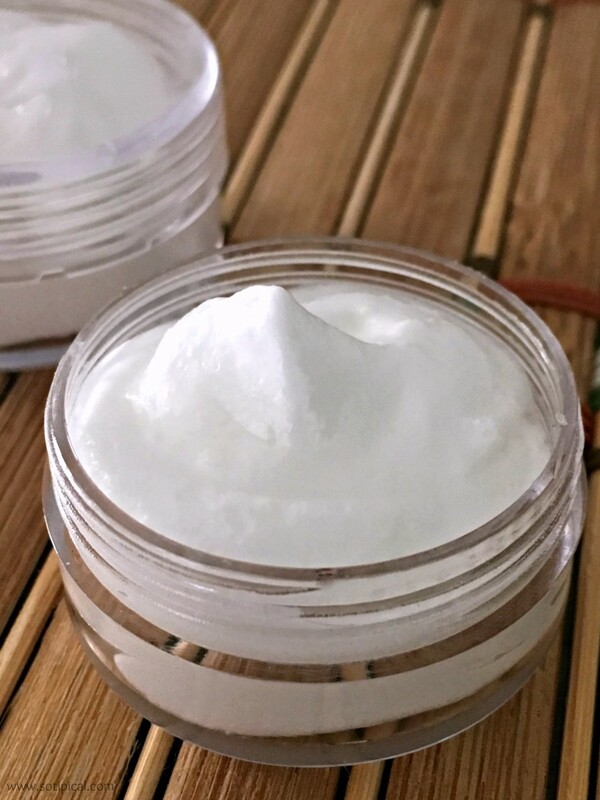 The easiest way to transfer the whipped body butter is to pipe it into the jar. 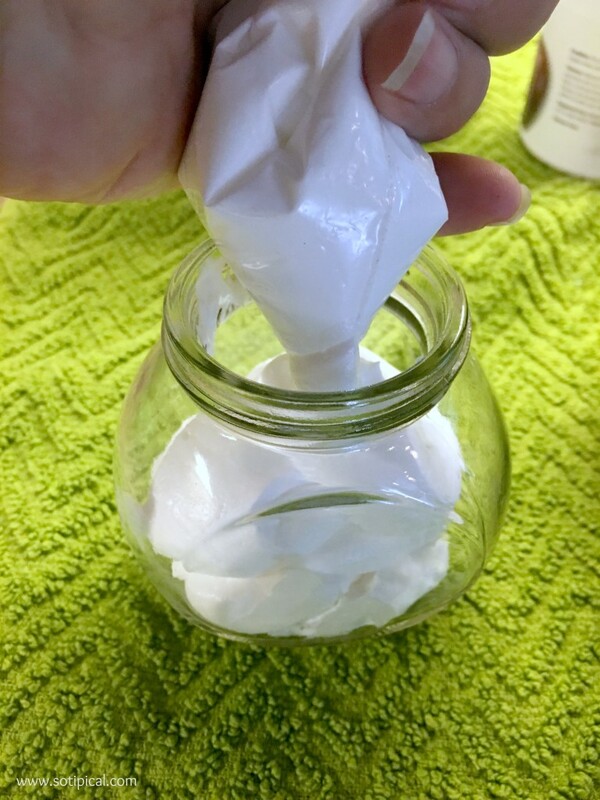 I filled a plastic sandwich bag with the whipped body butter, then cut the tip off. It was so much easier, less messy and faster than using a spoon to fill the jars. I also had enough to fill a couple of little travel containers too. Perfect to keep by your nightstand, in your purse, backpack, locker or suitcase. Store the whipped body butter in a cool place. Warmer temperatures may cause the mixture to “melt”. Use a cute jar and tie a pretty ribbon around the rim or create a decorative label. Good for stocking stuffer, hostess gift or in a spa themed basket. Create a pedi/foot care basket with a pumice stone, nail file and nail polish. 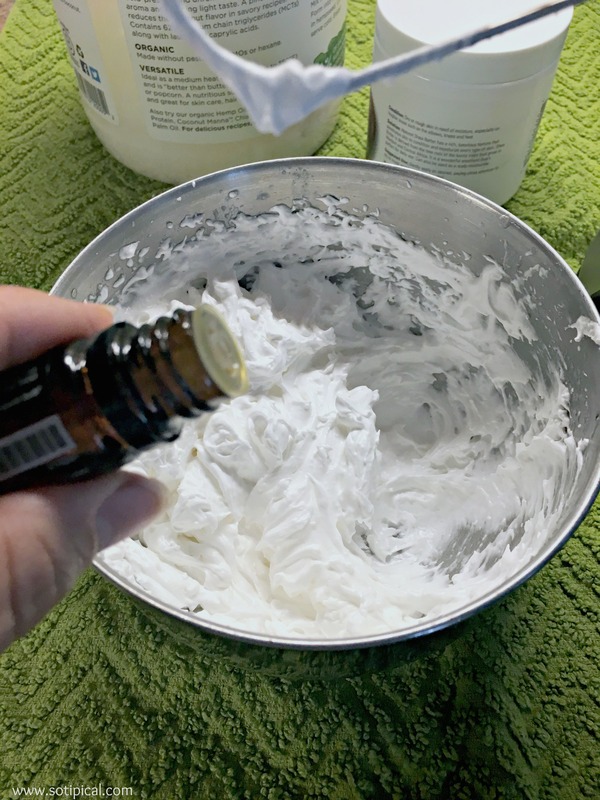 Instead of lavender oil, use peppermint instead to make a softening foot lotion. Create a hostess basket. 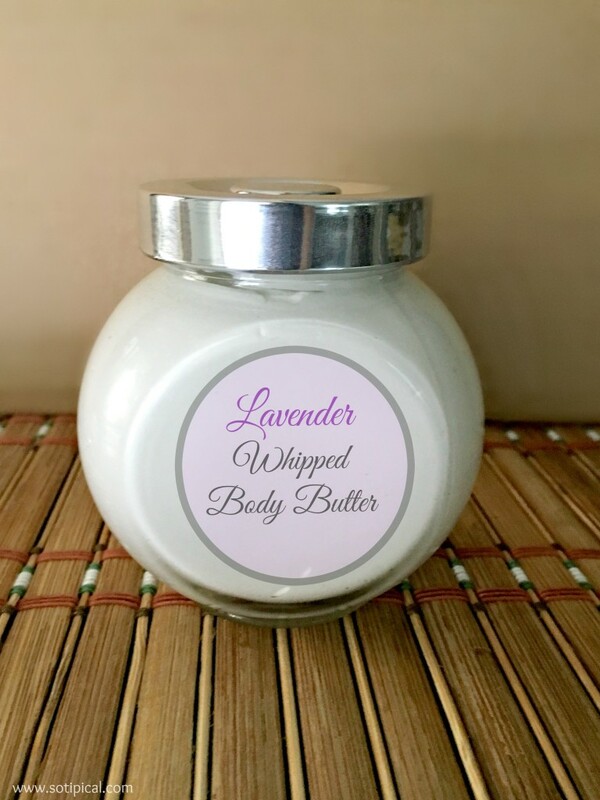 Use either lavender or tea tree oil in the whipped body butter. Makes a great hand cream too! Other items you can include: apron, pretty dishwashing gloves, ring holder, recipe cards. Which type of oil will you use in your whipped body butter? Click on image below to PIN this post!